After producing more than 2,000 chiropractic websites, we have insider information about what works. And what doesn’t. 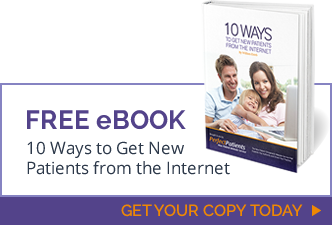 If you’re serious about getting new patients from the Internet, the day of the do-it-yourselfer is over. There’s just no way a practitioner can deliver great chiropractic care and maintain a competitive practice website. And going with a discount provider for chiropractic internet marketing is a false economy. Not only will you have to do most of the work yourself, websites sold as “products” simply can’t compete with the data-driven results that guide each Perfect Patients website. A practice website is an important business decision. May we put our chiropractic internet marketing experience and strategic thinking to work for you and your practice?